2) Select the "Redirects" link under the "DOMAINS" panel. 3) On the "Redirects" page you have a few options you may specify when creating your redirect. a) Select the redirect type. A permanent redirect will notify the visitor’s browser to update any bookmarks that are linked to the page that is being redirected. Temporary redirects will not update the visitor’s bookmarks. 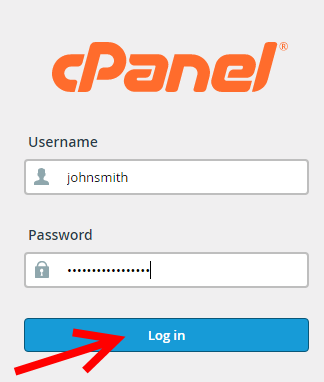 b) Select your domain from the drop down list or select "* *All Public Domains* *" which will apply the redirect to all your domain listed on this cPanel account, and enter in the rest of the URL you would like to redirect. c) Enter where you would like to "Redirect to" following the same format as "http://www.test.com". d) Select your www. redirection options. Only redirect with www. — This option only redirects when www is specified in the URL. Redirect with or without www. — This option redirects for both when a www record is present and when it is not. Do Not Redirect www. — This option does not redirect users who enter the www prefix. e) Choose "Wild Card Redirect" only if you would like to redirect all files within a directory to the same filename in the redirected directory. You cannot use a Wild Card Redirect to redirect your main domain to a different directory on your site. For example, if you enable the "Wild Card Redirect" option and example.com redirects to test.com, then a visitor who tries to access the http://example.com/img.jpg URL will redirect to the http://test.com/img.jpg URL. f) Push "Add" to add the redirect. 4) Once you are done adding your redirect's they will be listed at the bottom of the page and you may remove redirects by clicking "Delete" link at the end of the redirect's line.